Something less than a home console yet more than a portable, the Nintendo Switch doesn't bring to mind any vivid images of a "best use case." The console is unprecedented in its potential, by virtue of design, to intersect the markets for dedicated game systems and smart devices as game platforms, but it lacks the peculiarity of a product anxious to reap a following. The latter can be appreciated as a consequence of the former, however: the less assuming a design, the less of a niche to uphold, a task that becomes increasingly taxing on ingenuity further down the line. Indeed, the Wii U seems to have delivered the message to Nintendo authored by the Wii. Belying its modesty, the Switch collates the most successful innovations in playing to date: portability, multitouch displays, motion-enabled controllers and HD visuals. Trends so far dispersed across modern devices have found a platform to collaborate, leaving us with a device poised to receive ideas from the current outlook rather than inject them. But what do we make of this? The success of the Switch will simply find its roots in well-tailored experiences—games that are passionate and focused in employing its features. Irony abounds in the suggestion that such a broad device will be best appreciated in narrow applications, but the alternatives—games that pay no mind to the virtues of the platform, and games that frivolously try to knead them all together—can only underwhelm and exasperate respectively. With the right attention, the hopeful legacy of the Switch will be a medley of small but significant novelties hosted across an extensive library. With this in mind, what ideas are there on the ground? Here are my own thoughts. The Switch has shown an affinity for party games out the door, and little wonder. Local multiplayer is revitalised in the versatility of play with the console: equip each pair of hands with a Joy-Con and huddle around a single system, have everyone bring their own and set up a network of up to eight systems, or dock one down at someone's pad and settle each player with their controller of choice opposite a widescreen TV. Among the current lineup aiming for a spot with any crowd are 1-2 Switch, ARMS, Bomberman R, Mario Kart 8 Deluxe and Puyo Puyo Tetris, together determined to put local multiplayer at the forefront of engagement with the Switch. Related reading: Read Matt's review of the PlayStation 4 version of the game here. None of these games embody cooperative play like Overcooked though, overlooking the very experiences where local multiplayer has the benefit over online. 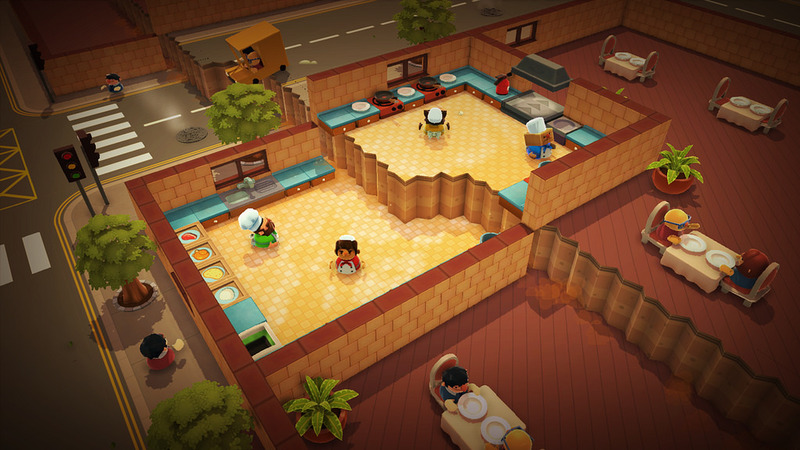 A cooking simulation in which players work together to fulfill orders under a time limit and amidst various hazards, Overcooked reestablishes trust, efficiency and communication as requirements to succeed rather than ideals, best fulfilled by the intimacy of physically playing beside one another. Match this with a console you can set up virtually anywhere and you have an icebreaker on your hands, literally. First-person shooters are a proven element of the big screen and the exact opposite for handhelds. This comes down to the genre's overwhelming lust for detail: a symptom of the “cinematic experience” as the AAA ideal, FPS and (action-)adventure games have endured most under the industrial pursuit of realism—from landscapes and architecture down to weaponry and bloodshed. 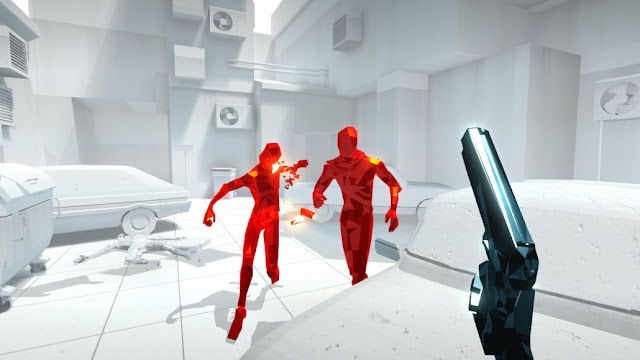 Superhot eschews this trend for a minimalist design, both visual and conceptual, that bears no compromise on a smaller screen. Contrary to most shooters, the weight on strategy rather than reflex doesn't leave handheld users at a tactical disadvantage. As an established hit for PC and Xbox One furthermore, the title has something to contribute to Switch owners even in the dock. An additional prospect for adaptation to the Switch, foreshadowed somewhat in the reception of Superhot VR, is use of the detached Joy-Con. For a game that revolves around a time-motion mechanic in first person, it only seems consistent. With the iconic success of Clash of Clans, Clash Royale and Boom Beach on the App and Play Stores, there's a clear persuasion for top-down tactics and strategy on mobile—particularly as tablets have become commonplace to lend the ideal interface. Unfortunately, the volatility of mobile marketplaces isn't exactly nurturing to developers. Free, fierce competition demands extreme strategising for a chance at profitability, a cost increasingly considered too great for the odds. In cases where popular titles are ported from consoles & PC conversely, the proliferation of devices and firmware versions under a single market makes it difficult to offer the perfect adaptation to all. Smart device gamers are at a disadvantage for content. 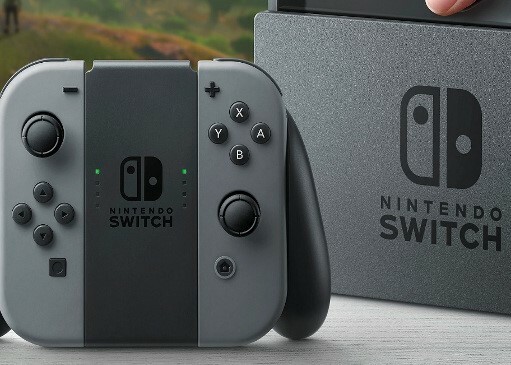 The form factor of the Switch is no coincidence apropos of this: its familiarity to people who play on smart devices revisits the odds of their taking the leap to dedicated game systems. The legacies of the DS and Wii epitomise Nintendo's fortune in transforming casual curiosity towards games into market share, and the Switch is equipped to revive this. This time developers could find themselves adapting mobile trends, with far less stress ahead of them. There is a deluge, frankly, of recent tactics/strategy releases to choose from for a wishful appearance on the Switch. 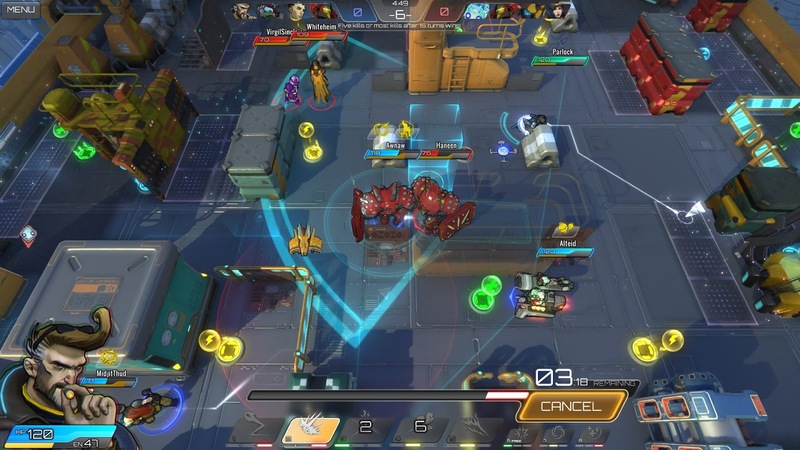 A free-to-play PvP team-tactics game available on Steam, Atlas Reactor takes favour for its vibrant art, subversion of turn-based combat, and wide appeal for eSports. After all, what better route to the masses than a presence in eSports? Whether ports are of any service in exposing a platform when exclusives court more curiosity is open to debate. For instance, Snipperclips—although less suited to parties as to pairs—has advertised local multiplayer to prospective Switch owners on a similar drift as Overcooked. Even at the least, Nintendo oversees a wealth of IP across genres, suggesting ample opportunity for creativity from first-party titles. The essential takeaway from the games mentioned above is how their concepts, on paper, press the designs of the Switch into service, not necessarily their franchise. There are no doubts to be held from here: indie and mid-tier games will form the conclusive effort behind the Switch. The concurrent breadth and depth of content that an assembly of smaller creatives can offer cannot and will not be paralleled by major third parties—at least not for the earlier part of the console's lifespan where it's most crucial. There is hope in the bonds being renewed through the prompt lineup of ports and multiplatform releases, and the emergence of third-party exclusives shouldn't be dismissed as a potent future. The Switch has a present to fulfill first and foremost however, and the most popular third-party content—keenly employed in the technology rush of the industry—will not be a part of this. Without an interchange of interests between content and platform, the Switch will be remembered as aimless rather than accommodating. Its draft of talent will tell if the device walks as cleverly as it talks.